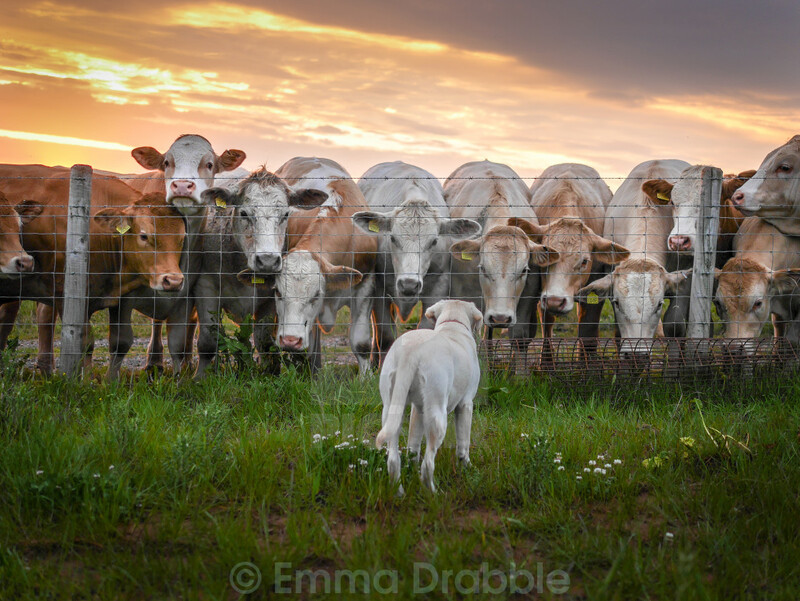 Eva the farm dog gives the cattle an evening lecture. She clearly is the voice of reason, because they all appear to be clearly listening. Or perhaps they are giving her a talking to!